On this Veterans Day, we honor all those who have dedicated their lives to protect the freedoms that our country was founded upon. The men, women and their canine counterparts perform their duties with loyalty and honor. With heartfelt gratitude, we thank them for their sacrifice and unselfish acts of heroism. The United States military has approximately 2500 dogs in active service today with about 700 being deployed overseas. They undergo extensive training in tracking, attack maneuvers and bomb, weapons and drug detection. Only approximately half the dogs make it through training and the trained K-9s are extremely valuable (likely worth over $100,000). However, their real value is in the lives they save. With 98% accuracy in their detection skills, the peace of mind they provide to the troops is priceless. 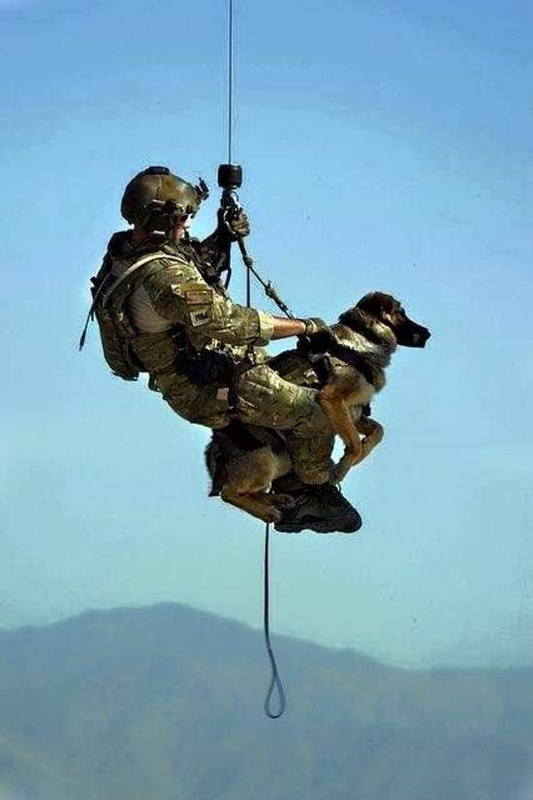 Dogs in service aren’t all German Shepherds. Highly trainable Labrador Retrievers and Belgian Malinois are often used.